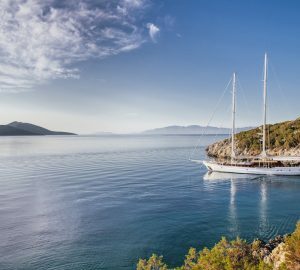 Luxury sailing Gulet ALBA (ex Liza I) was launched in 1997 and underwent an extensive refit in 2014. 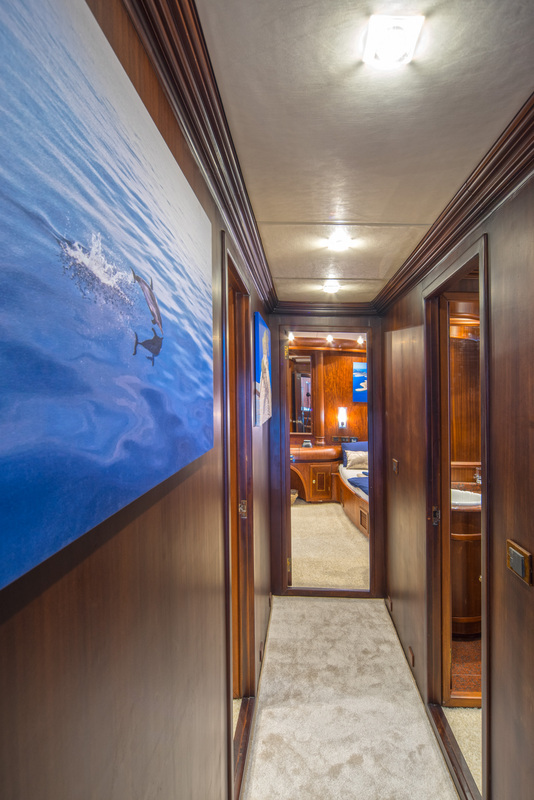 Measuring 26,5m (87ft) in length, S/Y ALBA offers generous accommodation for up to 10 charter guests, in 5 en-suite cabins. 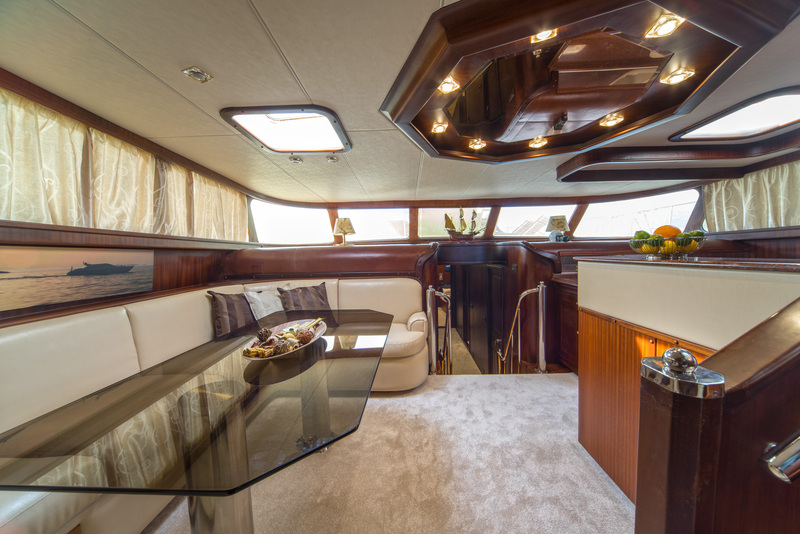 Sailing yacht ALBA features an elegant contemporary interior décor. 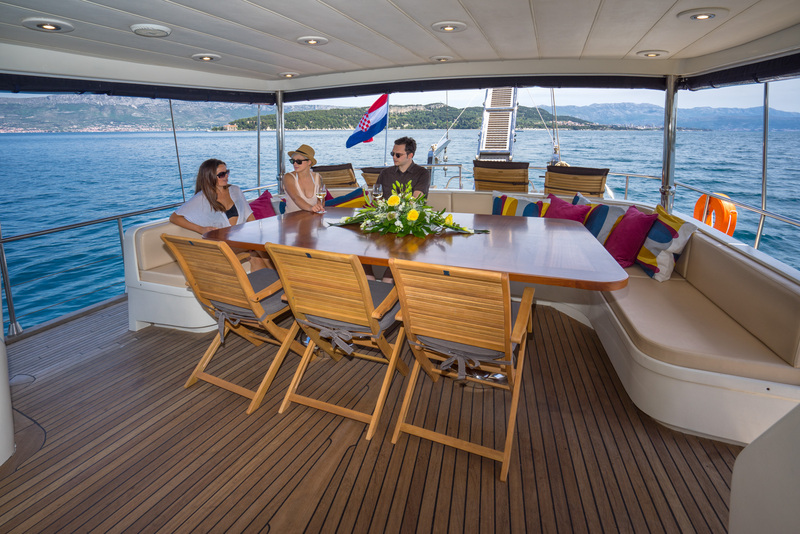 Rich wood panels, neutral tones and plush furnishings invite a social or relaxed ambiance. The main salon is carpeted and offers a large glass table and surrounding panoramic windows. 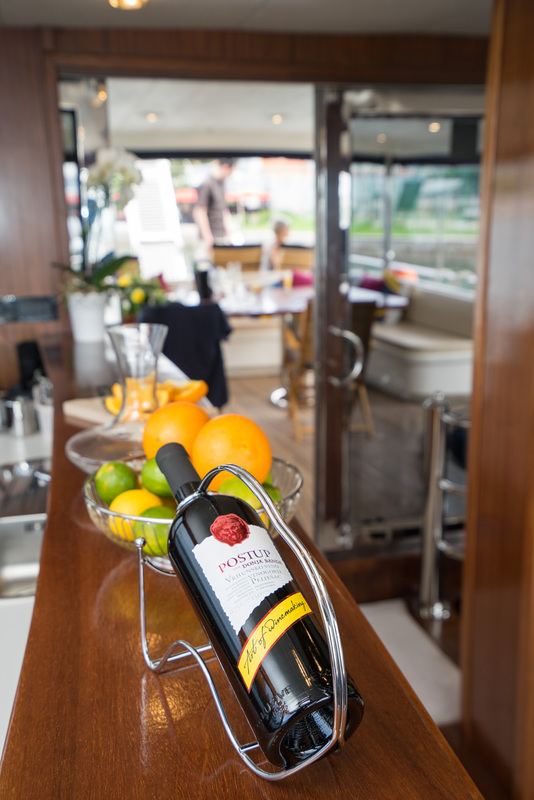 The fully equipped galley to starboard provides gourmet cuisine, in a modern open style. 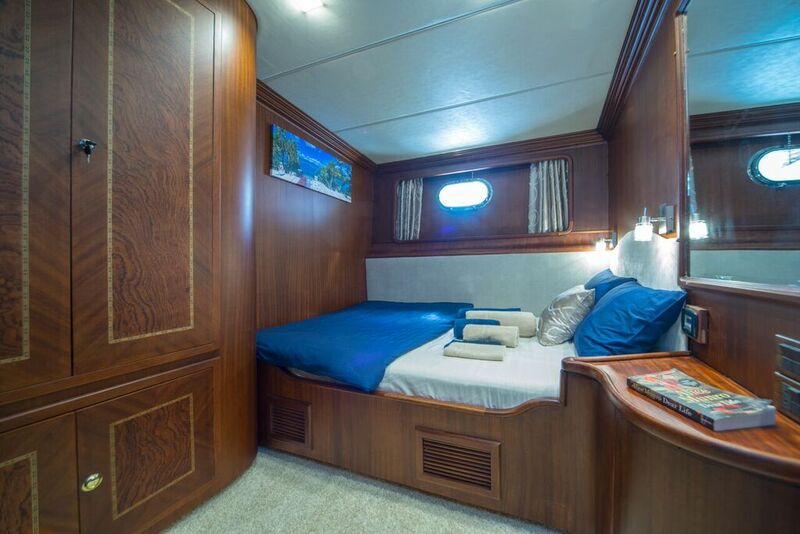 Below decks are the guest accommodations, each cabin boasting ample space and light. 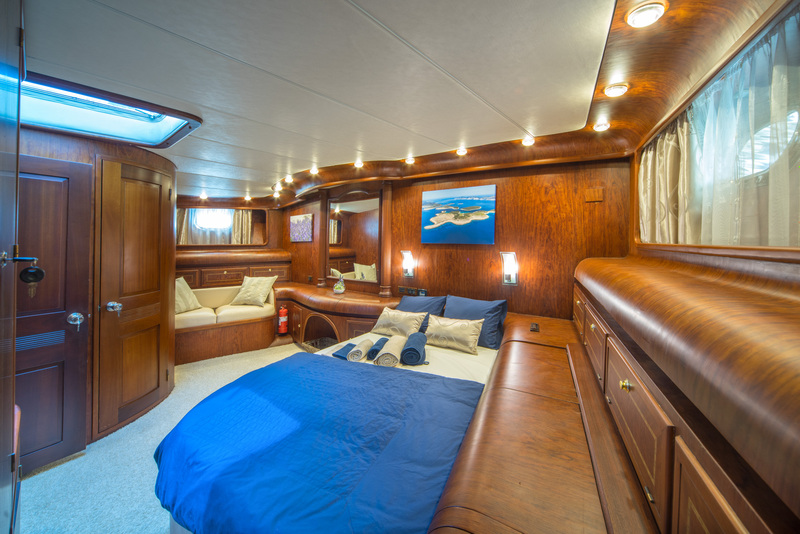 S/Y ALBA is fully air conditioned, ensuring optimum comfort. 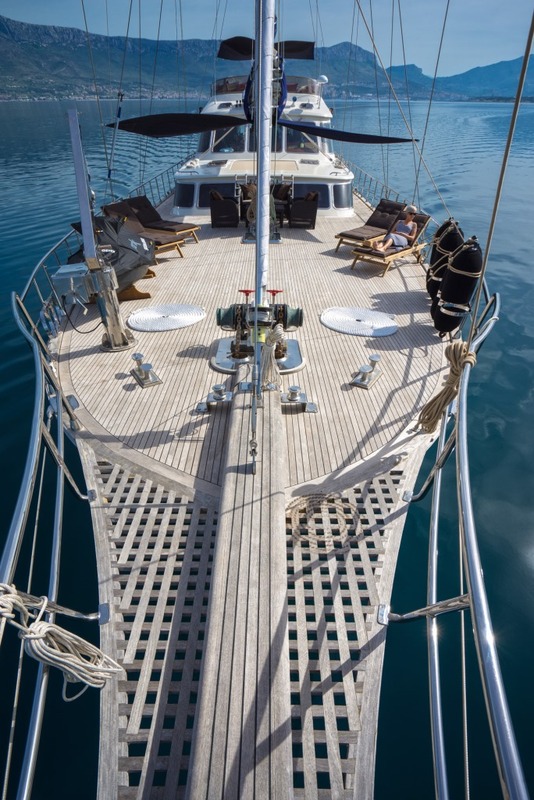 On deck, guests will find the gulet charter yacht ALBA offers plenty of areas to enjoy. 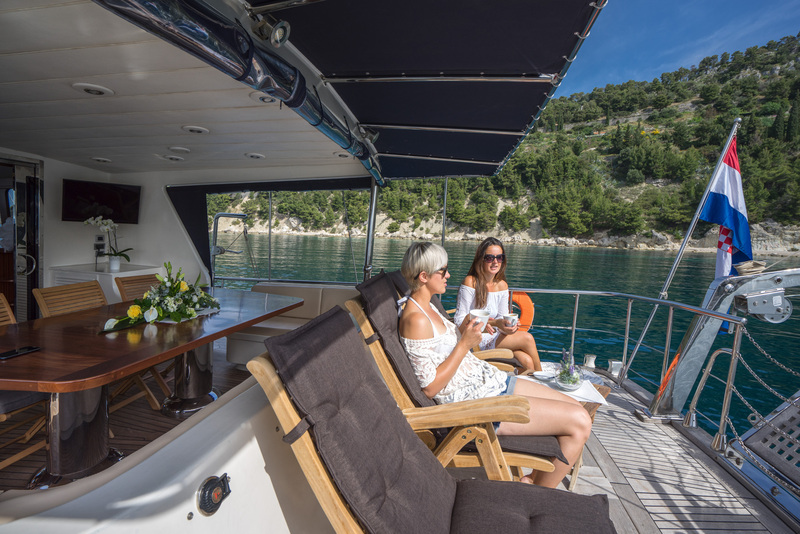 The aft deck has a covered alfresco dining option, ideal for formal or casual occasions. 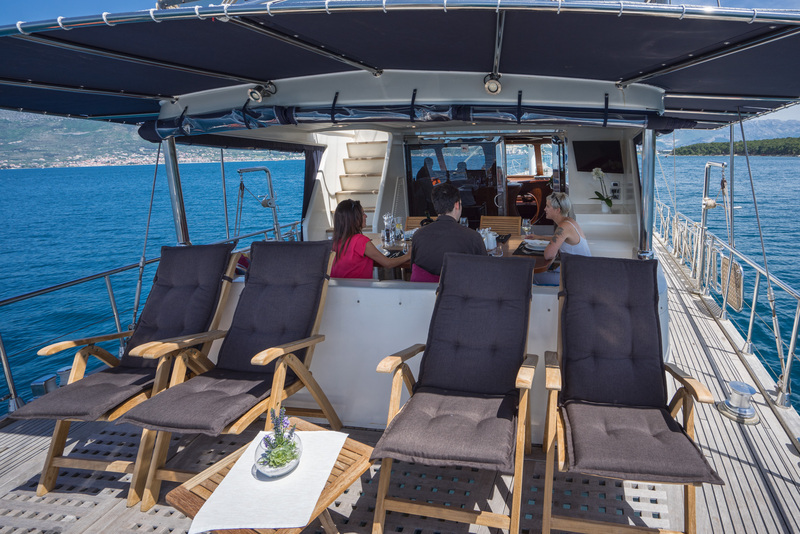 Further aft, the extended overhanging deck boasts chaise lounges and endless views. 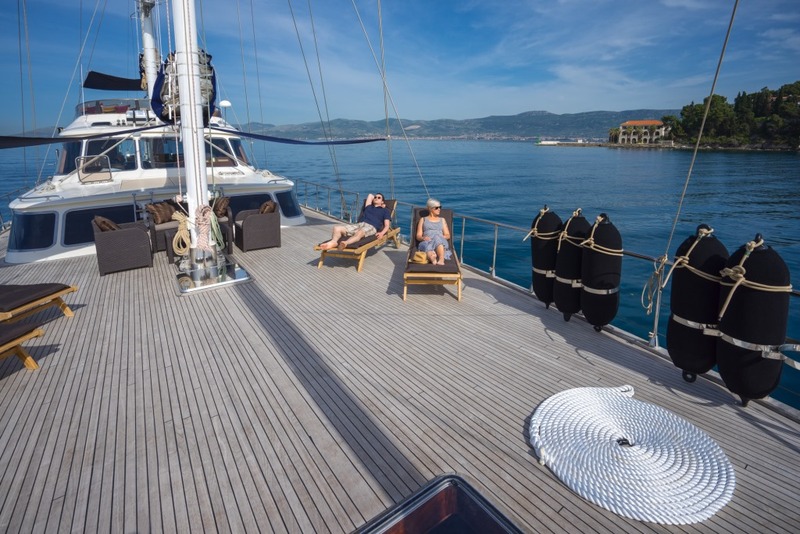 Thanks to a 360° wrap around main deck, the foredeck is easily accessed and features additional chaise lounges and ample teak deck space. 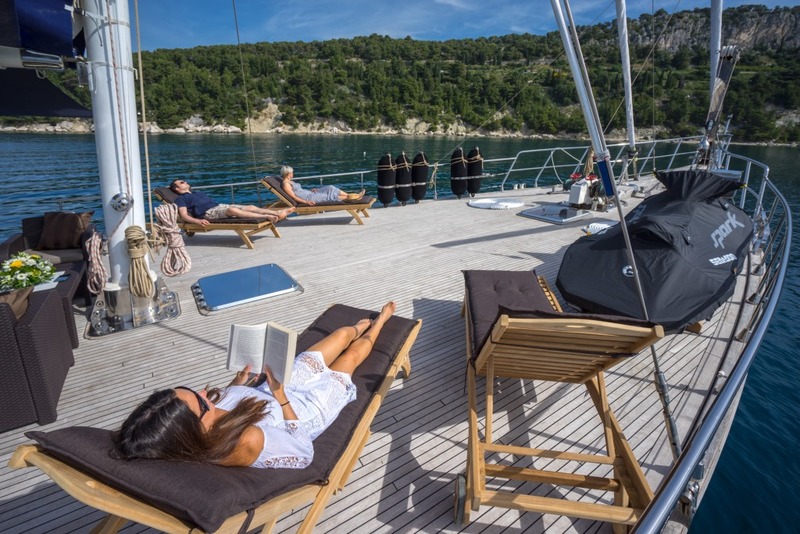 On the raised cabin house is a double sunpad, a perfect private retreat. 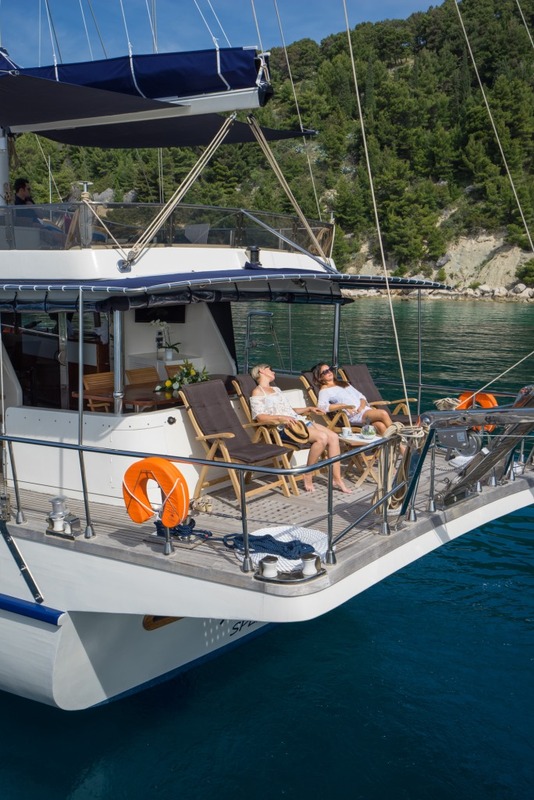 The sundeck deck offers a full beam seating area and massive sunpad, optional shade is available from a roll out Bimini cover. 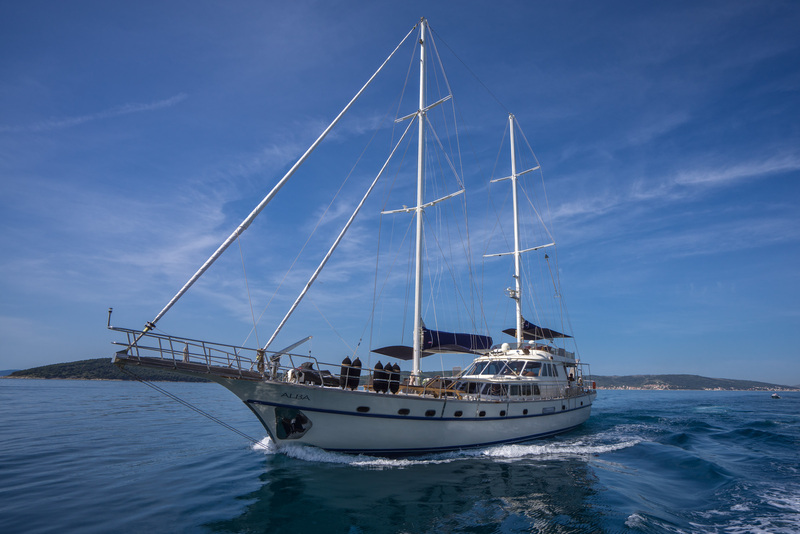 S/Y ALBA is a ketch rigged sailing vessel. 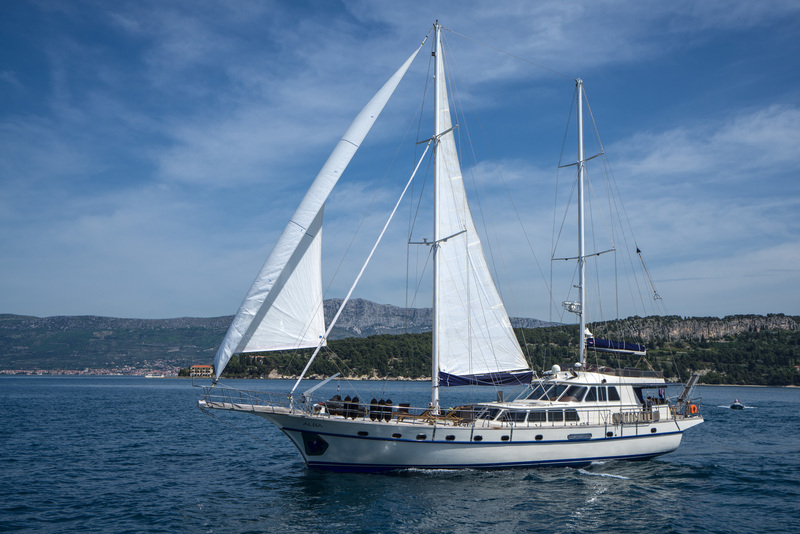 When not under sail, she is powered by a single CAT engine, providing cruising speeds of 6 knots. 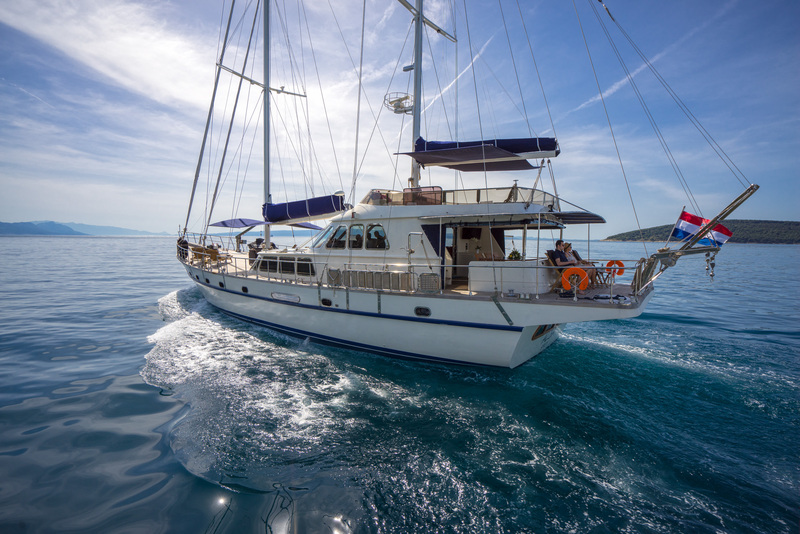 Sailing yacht ALBA can accommodate up to 10 guests in 5 en-suite cabins. 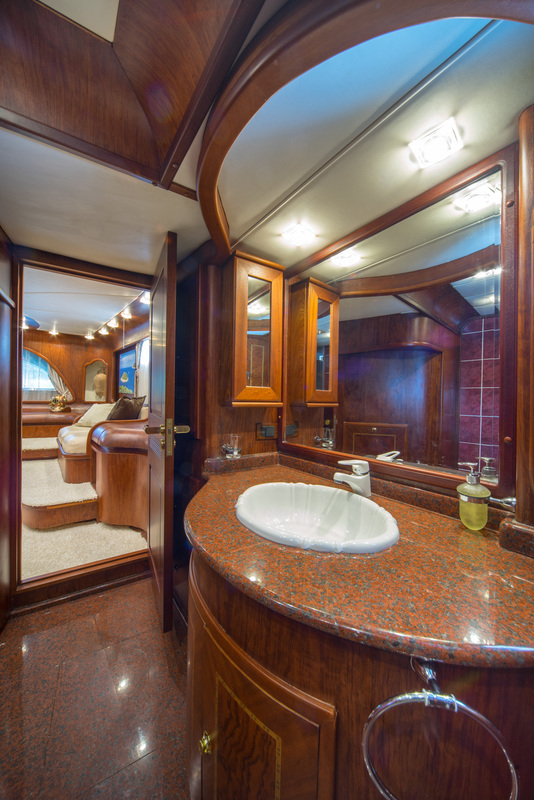 The master cabin is aft and full beam of the yacht, boasting a center lined queen size bed, sofa, vanity and ample ports. 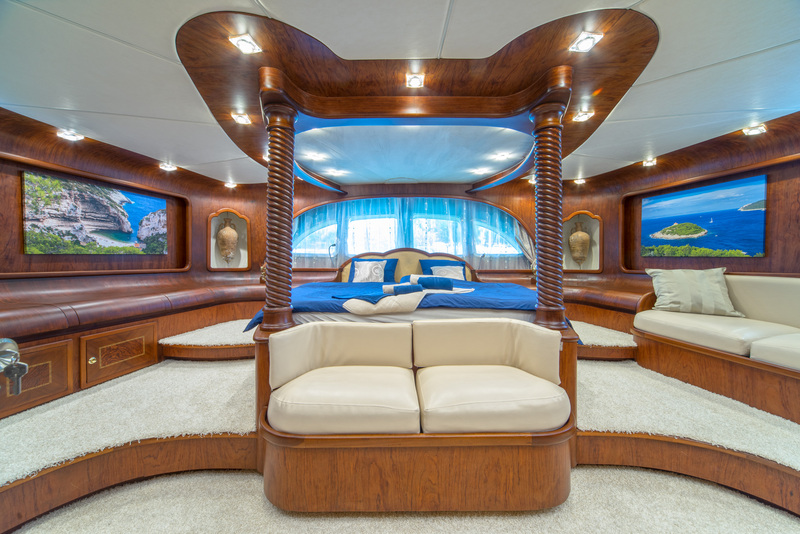 The VIP cabin is forward and full beam of the yacht, with a double bed and sofa. 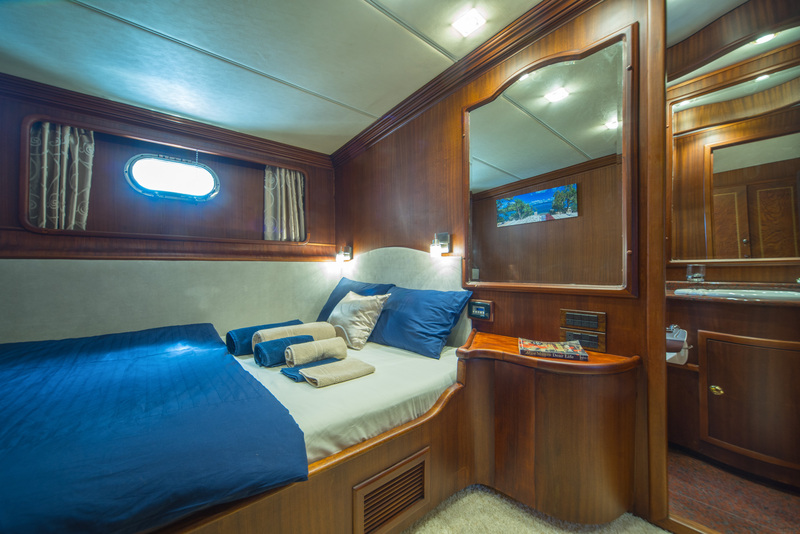 Two guest cabins offer double beds, while a 5th cabin has twin beds.